Can a Creditor Garnish My Social Security Disability Check? Who is the creditor? If it is anyone other than the Federal Government, then the answer is “No.” If a creditor other than the federal government tries to garnish your Social Security benefits, inform them that such an action violates Section 207 of the Social Security Act (42 U.S.C. 407). Section 207 bars garnishment of your benefits. It can also be used as a defense if your benefits are incorrectly garnished. Social Security’s responsibility for protecting benefits against garnishment, assignments and other legal processes usually ends when you are paid. However, once paid, benefits continue to be protected under section 207 of Act as long as they are identifiable as Social Security benefits. NOTE: Supplemental Security Income, or SSI, payments cannot be levied or garnished. The Social Security Act prohibits alienation or assignment of benefits, such as execution, levy, attachment or garnishment. See 42 U.S.C. § 407(a). First, Title II benefits are subject to withholding in accordance with State laws enacted pursuant to subsections (a)(1) and (b) of 42 U.S.C. § 666 (2000), and to any other “legal process” for the enforcement of alimony or child support obligations. See id. § 659(a). Subsections (a)(1) and (b) of 42 U.S.C. § 666 do not mention any procedure for collecting alimony or child support other than income withholding subject to the percentage limitations of the CCPA, codified at 15 U.S.C. § 1673. “Legal process” is defined as “any writ, order, summons or similar process in the nature of garnishment” issued by a court or administrative agency. See 42 U.S.C. § 659(i)(5)(A)(i) (emphasis added). The regulations at 5 C.F.R. § 581 et seq., and POMS also do not authorize any form of Title II benefits assignment other than income withholding in the nature of garnishment for the limited purposes stated. Second, 26 U.S.C. §§ 6331 and 6334(c) permit the Internal Revenue Service to levy upon Social Security benefits only for collection of Federal income taxes. Injured victims should also take pictures of the injuries and wounds that they have suffered in the attack. After a dog attack, seek immediate medical treatment for your dog bite injuries. A bite can lead to a serious infection- especially if the skin has been punctured. Contact a physician right away. If the bite is very severe, call 911 or have someone take you to the hospital. Identify the dog that bit you. Take a mental picture of what the animal looked like. Try to identify the size, color, breed, pinpoint markings or physical characteristics on the dog that will help you identify it later. If the dog bit you and ran off, it was probably a stray. Otherwise, find out where the dog lives and who owns it. Determine how you will contact the dog’s owner. This is an important step because it is often the owner’s home insurance company that will be responsible for paying damages for your injuries. Call your local health department and report the incident. If the dog was a stray, it may be necessary for you to get rabies shots, which can be painful and costly. Report the dog attack to your local Police Department, Sheriff’s Department or animal control agency. Take pictures of all visible wounds, torn and/or bloody clothing, the dog and the site of the attack. Once you have taken care of yourself, find out as much about the owner of the dog as you can. Get the person’s name, address and dog license information. Discover if there has been a history of biting with the animal. Finding out about the owner can keep you from having to go through the rabies vaccinations and can probably entitle you to compensation. Do not provide any insurance company information regarding the dog attack or your injuries yet. Keep records of any medical expenses you have had to pay for yourself. Do not sign any document before discussing it with an attorney. Begin researching reputable Florida dog bite injury lawyers, and contact one as soon as possible. An experienced personal injury lawyer can assist you in navigating the sometimes complex dog bite laws and getting the best possible financial outcome for your injury. 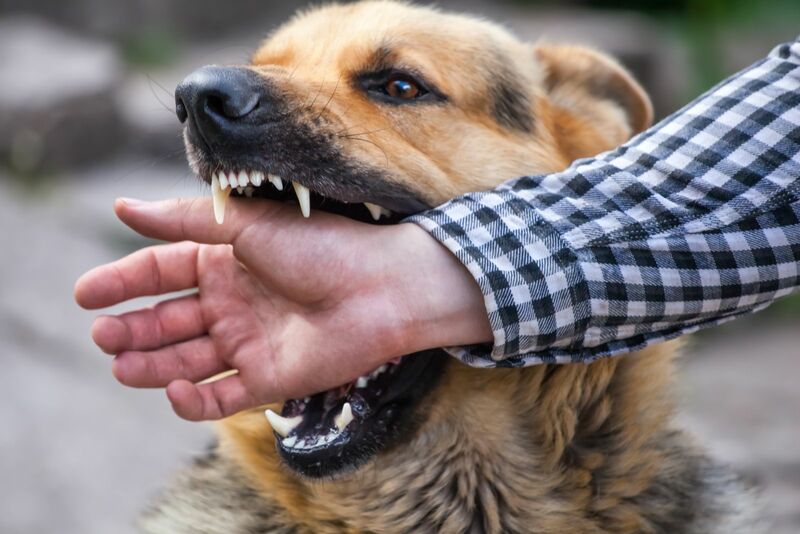 Dog bite law dictates that the actions of the dog are the responsibility of the owner, which can entitle you to compensation for your pain and suffering, medical costs and time missed from work. Time is important when you are filing a claim for a dog attack. If you are seeking treatment for dog attack injuries, Florida state law provides that you must file a lawsuit within four years of the attack. This is the statute of limitations, meaning that if you do not file a lawsuit within 4 yers of the attack, you will forever lose your right to do so. Your chances of a successful claim and recovery will increase dramatically when experienced and reputable dog bite attorneys represent you. Call injury lawyer Nick A. Ortiz for a free consultation today so that we can discuss your case. Five-Month Waiting Period for Social Security DisabilityWhat Is the Five-Month Waiting Period for Social Security Disability? What Is the Five-Month Waiting Period for Social Security Disability? Disability claimants who have been approved for Social Security disability insurance benefits (also known as SSDI, SSD, and Title II disability benefits) are subject to a five-month “waiting period” wherein the Social Security Administration (SSA) does not pay the claimant any disability benefits. This means that if the claim is approved within five months of the disability onset date, Social Security will not pay benefits until the sixth month after the onset date. If the claim is approved more than five months after the disability onset date, then the SSA will withhold the first five months of the claimant’s benefits before starting monthly payments. Reinstatement. If you were previously approved for SSDI benefits, returned to work, stopped receiving disability benefits, and then become disabled again because of an impairment(s) that is the same as or related to the impairment(s) that allowed you to get benefits earlier, you will not be subject to the five month waiting period for benefits – so long as you make your request for reinstatement within 5 years from the month your benefits ended. This is called Expedited Reinstatement. Dependent Benefits. If you are applying for benefits as the child of a disabled worker, your application is not subject to a waiting period. For more information, see our section on SSDI dependent benefits. The five-month waiting period begins with the claimant’s established onset date (EOD) of disability. The EOD is the date that determined the claimant became disabled. Thus, the date of entitlement to SSDI benefits (or the date when the claimant starts to be owed a monthly payment) does not start until five months after the established onset date. How does the date of entitlement compare to the disability application date? Answer: A claimant cannot receive more than 12 months of “retro benefits” prior to the benefit application date. In other words, the date of entitlement cannot be more than 12 months before the application date. If the established onset date is more than 17 months before the application date, then the waiting period will have been exhausted before the date of entitlement and the claimant will receive back benefits going back to 12 months before the application date. A “protective filing date” is the date you first contacted Social Security and advised the SSA that you would be applying for disability benefits. A protective filing date is similar to your application date for the purposes of the 17-month time limit discussed above. As stated above with respect to the application date, the date of entitlement to benefits can be 12 months before your protective filing date. In other words, you can receive payment for disability benefits for up to 12 months before your protective date if Social Security finds you were disabled five or more months before that date. As you can see from the above discussion, most of the time a disability claimant does not actually have to wait five months after a decision is made to get benefits because the five-month waiting period is used up while waiting for a disability decision. Do I Really Need To Hire A Lawyer In My Personal Injury Claim? Accident victims often ask me whether they “really” need an attorney to represent them through the insurance claims process. I would never state that you need to hire an attorney because a claimant may go through the entire process without an attorney or other representative. In fact, if the property damages or personal injuries damages are really small in a claim, then we may recommend that the claimant try to negotiate the claim on his or her own. Will An Attorney Get You a Higher Settlement Than You Could Get on Your Own? In many circumstances the answer is, “Yes”. This is where I don’t want you to take my word for it. A study conducted in 1999 concluded that insurance companies paid higher settlements to accident victims represented by an attorney than those who represented themselves. The insurance industry wanted to determine if represented claimants received higher settlements than those who were unrepresented. The Insurance Research Council, a non-profit organization comprised of many of the largest casualty and insurance companies in the country, conducted the study. 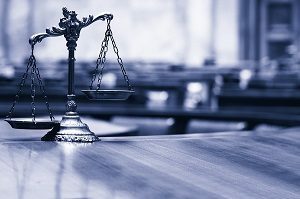 The IRC found that claimants who used an attorney received on average three and one-half (3 ½) times more settlement money than claimants who settled claims on their own. You should at least obtain a consultation with an experienced personal injury attorney to see what he or she can do for you. Ortiz Law Firm offers free case evaluations, but we do not accept every case. It is simply not worth our time and resources to accept smaller cases. In circumstances where your recovery may be small (say, for example, less than $10,000.00), we may tell you how to handle your case on your own. Call (850) 308-7833 to discuss your claim with Mr. Ortiz. What are your attorney’s fees? Attorneys are typically paid in one of two ways: (1) by the hour; and (2) on a “contingency” basis. Under Option 1, the attorney is paid whether the client wins or loses the case. Moreover, the attorney may charge hundreds of dollars and require a retainer be paid up front. Because many people cannot afford to put up a retainer they opt for Option 2. However, if there is a recovery, the attorney will typically share a percentage of the recovery as a fee. Some have referred to this arrangement as “the poor man’s key to the courthouse,” as it allows a client to retain an attorney without paying anything out-of-pocket up front. The Ortiz Law Firm handles virtually of of its cases on a contingent fee basis. In Social Security cases, the “contingency fee” is typically 25% of the back pay owed to the claimant. In Long Term Disability Insurance (LTD), Short Term Disability (STD) and ERISA cases, the fee is typically 33 1/3-40%. Do You Choose Social Security Disability or Early Retirement at 62? Answer: Yes. It is worth pursuing the Social Security disability claim. Many social security attorneys even fail to recognize the advantage of disability over early retirement. If you elect early retirement at 62 you will be forever penalized and have to accept a permanent reduction of benefits of 20-25%. However, if you are approved for disability benefits, you receive full disability until your normal retirement age (typically 65 years old), and then full retirement benefits without any reductions. This page will help show you how to win a Social Security Disability Insurance (SSDI). It will also give you tips to win SSI, or Supplemental Security Income. The information contained on this page and throughout this site is extensive. However, if you are committed to maximizing your chance of winning your SSDI and/or SSI claim, keep reading this site. Watch the videos. Search for questions that have been answered before. I have helped over one thousand people win disability and hope this information helps you too. If you would like me to represent you too, fill out the form below or call 850-308-7833 for a free case evaluation. This page provides simple, straight-forward information on winning Social Security Disability (SSDI) or Supplemental Security Income (SSI) benefits. 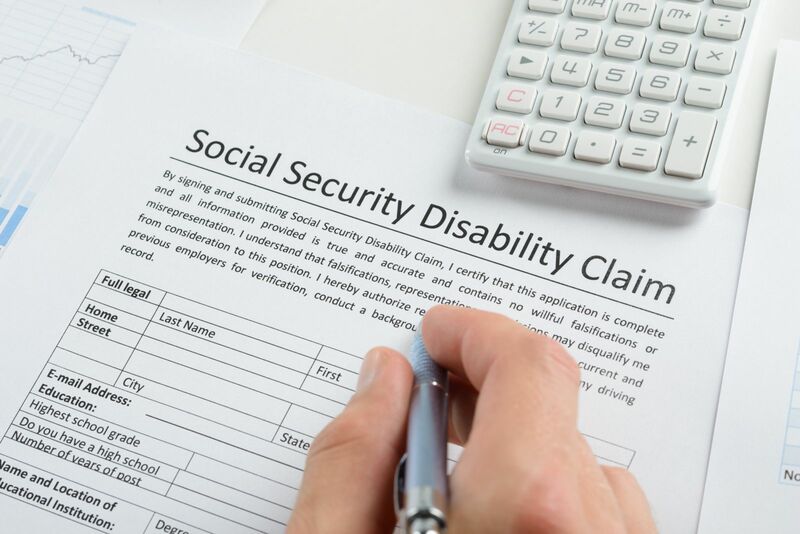 It summarizes the most important things you can do to win your SSDI or SSI claim. This page does not provide legal advice. It is not a substitute for hiring an attorney to represent you in your claim. Nor is it a substitute for doing further research into the Social Security disability process. I will attempt, however, to provide you some insider tips while pursuing disability. Again, I will not discuss the law or get into specific procedures here. Instead, I will give five tips on things you can do to help your own disability case. 1. The FIRST TIP to help give yourself the absolute best chance of winning is to make sure you submit ALL relevant medical records to Social Security, or give them to your attorney to give to Social Security. the test results for all tests performed such as MRIs, X-Rays, blood work, EKGs, EEGs, EMGs, etc. Residual Functional Capacity (RFC) forms, also called Ability to do Work Related Activity forms or Physical Capacity Evaluation (PCE) forms, can be the difference between winning and losing your SSDI or SSI claim. If your doctor supports your claim for disability, try to get him or her to give you a detailed written report of your condition(s) and how they limit you. This can be extremely persuasive evidence in helping you win your claim for Social Security disability benefits. You can obtain an RFC or Ability to do Work Related Activity Form from Social Security or your attorney. The SSA’s Ability to do Work Related Activity Form (Physical) is a “one-size-fits-all” form. It is used for any type of physical disability. Because different physical disabilities can impair you in different ways, my firm has customized RFCs for certain conditions. For example, we have a Back RFC, a Fibromyalgia RFC, a Heart RFC, a Cancer RFC, a Crohn’s RFC, a COPD RFC, a Seizure RFC, etc. Contact us about your disability and I will send you the appropriate RFC for your condition. Physical RFCs should be filled out by any doctor treating you for your physical conditions, and Mental RFCs should be filled out by a mental health provider such as a your psychologist or psychiatrist. 2. The SECOND TIP to help boost your chance of winning is to keep a journal of your activities of daily living. Sit down and write down how your condition limits you on a daily basis. Keep this journal handy at all times so that if you experience any mental or physical problems that limit your chores and other activities during the day you can make a note of it. Begin this journal now, even before you apply for Social Security Disability Insurance or SSI benefits. If you have already applied by the time you are reading this, then start keeping the diary now. Now that you have this journal, what information do you put in it? You should start with a description of how your disability keeps you from performing work you have done in the past. List the duties you performed in your past jobs, and note why your conditions keeps you from performing those duties. You should note other issues you are experiencing, such as how your disability disturbs your sleeping patterns, the amount of pain you have when performing chores and other tasks (or even at rest), and how you need to take breaks even when doing simple tasks. Think about other activities like shopping and social activities like going to church, and how they are now limited. Perhaps you are unable to do certain things at all any more, such as hobbies like fishing and gardening. Note how your disability affects your ability to perform even simple, routine, repetitive tasks (SRRTs) such as driving a vehicle, grocery shopping, visiting family, taking care of family, sitting, standing, walking, remembering and attending appointments, cooking, dealing with stressful situations, dealing with other people, and more. Think about things you used to be able to do and can no longer do due to your disabling conditions and make a note of those as well. Perhaps there are other things you can still do, but only do them for limited periods of time due to pain or fatigue. For example, you may have difficulty with your grip strength using your hands, a more limited ability to push and pull, and a more limited ability to lift and carry weight with your arms and hands. You may have memory and concentration problems, difficulty sitting very long, chronic pain, etc. You should also note any side effects you experience from your medication. Not side effects like cotton mouth, but side-effects that would affect your ability to work like extreme fatigue or tiredness, dizziness, and being foggy-headed. Please remember, these are just examples. Do not use them as examples in your journal unless you are actually experiencing these issues. Your journal is specific and unique to you. Thus, you should note your own personal issues, concerns, problems, limitations, and pain. Many claims will be decided on whether you can do a sedentary (sit-down) job or not, especially if you are under 50 years old. Thus, you should think about and write down why you could not even do a sit-down job. Keep in mind sedentary jobs are sit-down jobs where you do not have to lift greater than 10 pounds on a regular basis. Sedentary Jobs are explained more in the GRID Rules section of this site. After you have written and maintained this journal, give it to your attorney for review. 3. The THIRD TIP to help increase your chance of winning your SSDI and/or SSI claim is to continue to obtain medical treatment from your doctors and always take your medications as prescribed. When making a disability determination, Social Security will often make the wrongful assumption your condition must not be that bad if you are not getting medical treatment and/or you are not taking your prescribed medication like you are supposed to. Moreover, if you do not continue treatment with a doctor, or if you have long gaps of time between doctor visits (more than 90 days between visits), then you may not have enough evidence in the form of medical records to support your claim. On a similar note, if you stop taking your medication, or you do not take it exactly as prescribed by your doctor, then Social Security may deny your claim because you are being “non-compliant” with your doctor’s orders. The SSA’s rules and regulations state Social Security must consider why an individual is not following a prescribed medical treatment or medication regime in issuing its decision. For example, your excuse may be lack of money or health insurance to get medical care. However, my experience has shown that lack of treatment or failure to take your medication can tremendously hurt your chances of winning Social Security Disability Insurance or SSI benefits. The reasons why many people do not take their medication vary. Oftentimes it is simply a question of money or financial ability. It seems like simple logic – if you cannot work because of your disability, then you cannot afford to continue to get treatments or medications. However, regular medical care for your medical disabilities is important for your health as well for your claim. You must try your best to get treatment. There are numerous programs that can help you get the medical care you require. These groups include medicaid and charity care, if you qualify. When you do go to the doctor’s office, you may make mention of the fact you are pursuing Social Security benefits. Be sure not to go overboard. When I review medical records in a Social Security disability claim, it is frustrating to read in the doctor’s treatment notes that the patient is obsessed about getting disability. Finally, when you do see your doctor make sure that you tell your doctor all of your medical problems (from head to toe) and how they are affecting your daily activities. 4. The FOURTH TIP to help improve your chances of winning your SSDI and/or SSI claim is to be sure Social Security has as many of your medical records as possible before you go for a Consultative Exam (CE). Chances are Social Security will schedule you one or two Consultative Exams (CE). Before you go to the CE, make sure Social Security has as many of your records as possible before the actual examination. If you just started seeing a doctor, just recently received some of your records, or you just recently sent your records in to Social Security, take a copy of the records with you to the exam to make sure the SSA has them and give them to the examining doctor. 5. The FIFTH TIP is for the consultative exam. Tell the CE doctor all of your medical conditions, even if he or she does not ask you about them. If it is a CE for physical problems, the doctor will perform a physical exam. Keep in mind he or she is observing you the whole time you are there – from the time you are in the waiting room until you leave in your car. If it is a CE for a mental condition, the psychologist or psychiatrist will ask you a series of questions and he or she will be observing everything about you, including how you answer the questions, your mood, and your demeanor. The doctor will note your appearance such as how you are dressed, whether you are showered, if your hair is done, whether your nails are trimmed and painted, etc. When answering these questions keep in mind the doctor has seen hundreds (if not thousands) of claimants trying to get disability benefits. Do not try and fool the doctor by purposely giving ridiculous answers or intentionally missing the question. If you do, chances are the doctor will note in his or her report that your answers were contrived. Not only is this dishonest but this could destroy your disability claim. Other advice. Another piece of advice on how to win Social Security Disability Insurance (SSDI) or SSI is to remember your non-exertional limitations become even more important if (1) you do not meet a listing, and (2) you are under 50 years old or you are 50 years old or older but had past relevant work that is considered sedentary. In this situation you will have to show that your conditions are so severe that you cannot even do a sedentary jobs. Some important examples of limitations that may prove this are: inability to sit for long periods of time, mental limitations (such as difficulty with memory, concentration, getting along with others, dealing with stressful situations, etc. ), limitations in reaching, pushing and pulling, and limitations in your posture (such as twisting, bending, stooping, etc.). But just telling the doctor you have these limitations is not enough. The limitations must be supported by the medical evidence. This is where the RFC from your treating doctors becomes so important. That brings us back to the Residual Functional Capacity Forms (RFC forms), also called Ability to Do Work Related Activity Forms or Physical Capacity Evaluations (PCEs). It is important to remember medical evidence, especially RFCs/PCEs, is the key to winning an SSDI or SSI claim. It is the claimant’s responsibility as the one trying to get disability to show he or she has an impairment and to prove the severity of the impairment. The Social Security Administration will request medical records from any doctors, hospitals and clinics you identify. However, do not leave everything to them. If the SSA requests medical records from your doctor’s office and the doctor’s office does not respond to the request, Social Security does not send follow-up requests. Social Security will simply issue a decision without those records. It is up to you to make sure Social Security has all of your records. Your medical records and other evidence should come from “acceptable medical sources.” Acceptable medical sources include: licensed physicians (medical or osteopathic doctors), licensed or certified psychologists, licensed optometrists, licensed podiatrists, and qualified speech language pathologists. Additional evidence from a provider who is not considered an acceptable medical source (such as a Chiropractor) will be considered but such evidence is given considerably less weight in the decision. Let’s say, for example, you are applying for disability with a back problem. If you are seeing a chiropractor for such problem, you should make sure you are also seeing a medical doctor (preferably a specialist such as an orthopedist). Medical record evidence from both the medical doctor and chiropractor will be considered. However, the orthopedist’s records will be given considerable more weight than the chiropractor’s records. Remember, Social Security will also want all of your records from any hospitals, clinics, urgent care facilities, and other health facilities where you have been. The most important medical evidence in your case will come from your treating sources. If you want to win your disability benefits, it is up to you to make sure Social Security has all the evidence from your treating providers. Social Security is supposed to place special emphasis on evidence from treating sources. A well-written letter or narrative report detailing your condition, treatment and resulting impairments – along with your treating sources treatment notes and an RFC from him or her – will go a long way to improving your chances of winning your Social Security Disability or SSI claim. If you want to win your disability benefits, continue to read this site and Social Security’s website to become as knowledgeable as possible about winning Social Security Disability benefits. The statuory definition of disability specifies that you must have a “medically determinable physical or mental impairment”. A medically determinable physical or mental impairment is an impairment that results from anatomical, physiological, or psychological abnormalities which can be shown by medically acceptable clinical and laboratory diagnostic techniques. A physical or mental impairment must be established by medical evidence consisting of signs, symptoms, and/or laboratory findings-not only by the individual’s statement of symptoms. By definition, those impairments which cannot be proven by an objective medical test (such as an X-Ray or MRI) are more difficult to prove. For example, the diagnosis of fibromyalgia relies significantly on the patient’s subjective complaints. There is not an X-Ray which will prove the existence of fibromyalgia. That is why these types of soft tissue disorders are more difficult to prove than say a “broken back”, which can be proven with an MRI. Moreover, the above definition means that mental disorders are difficult to prove. Not impossible to prove. Just more difficult because you cannot exactly prove a disorder like bipolar disorder with an X-Ray. In short, some disorders are more difficult to prove than others. This is why the claimant’s credibility and medical records are so important.